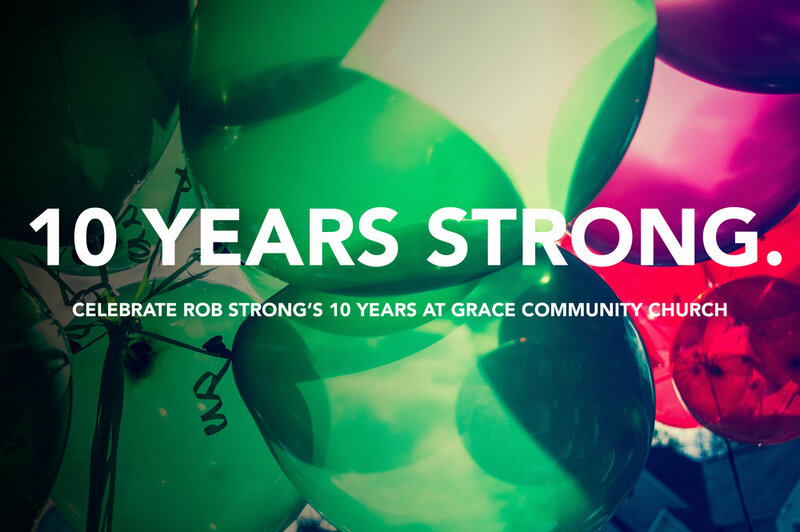 We are excited to celebrate Pastor Rob's accomplishment of hitting the 10-year ministry mark at Grace Community Church and YOU ARE INVITED. We will have a dessert reception followed by a time to honor Pastor Rob, and share some memories from the last 10 years. Don't miss it!